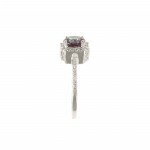 6.5mm round lab alexandrite in a halo of tiny round brilliants that extend down the shank. 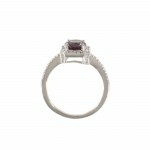 Alexandrite is 1.02 carats. 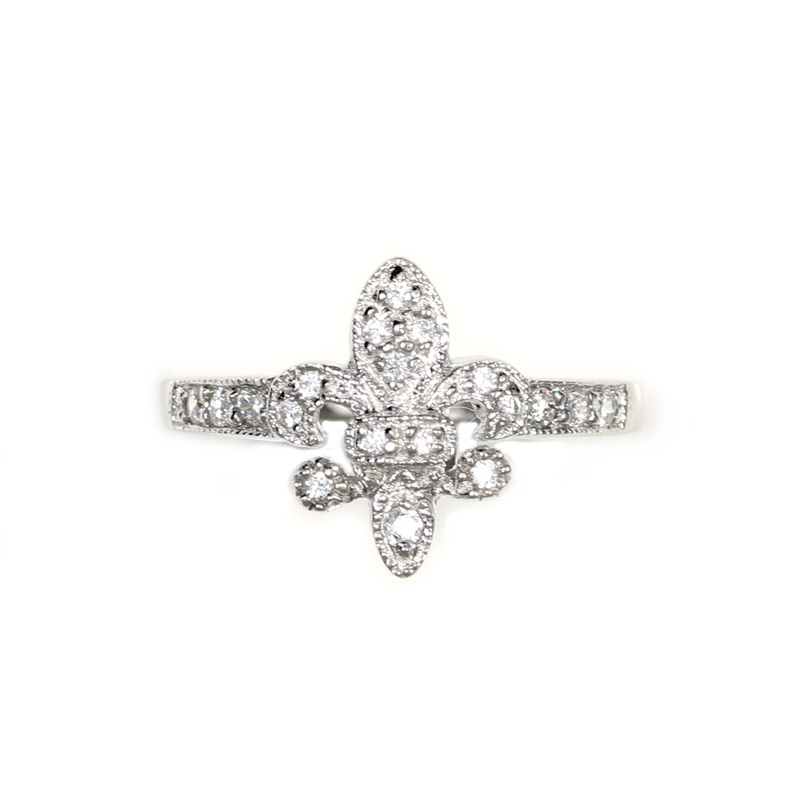 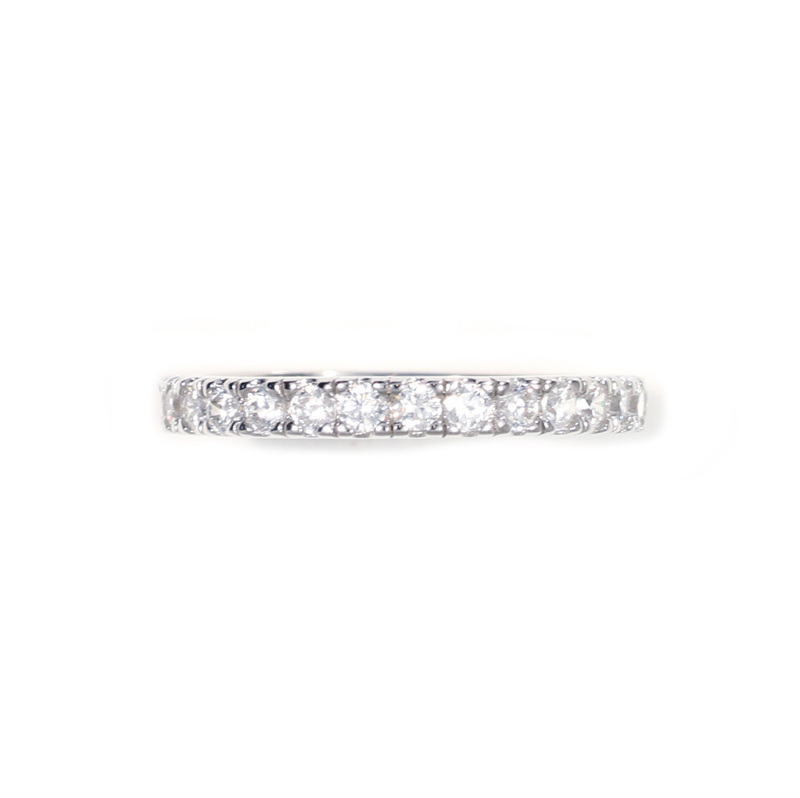 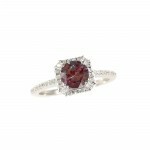 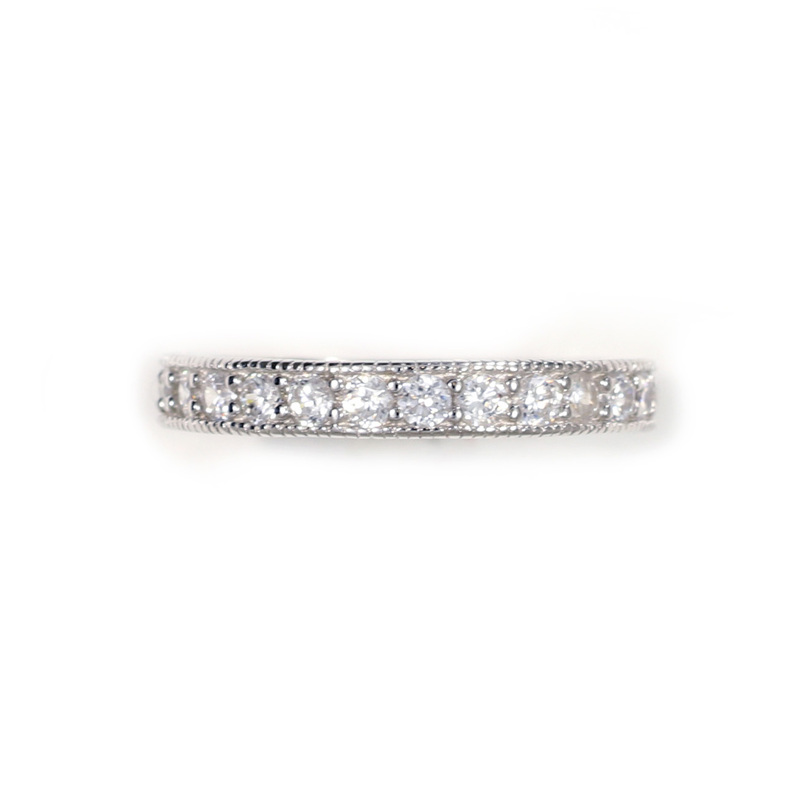 Ring measures 8.84mm at its widest and tapers down to 1.38mm at the base of the shank. 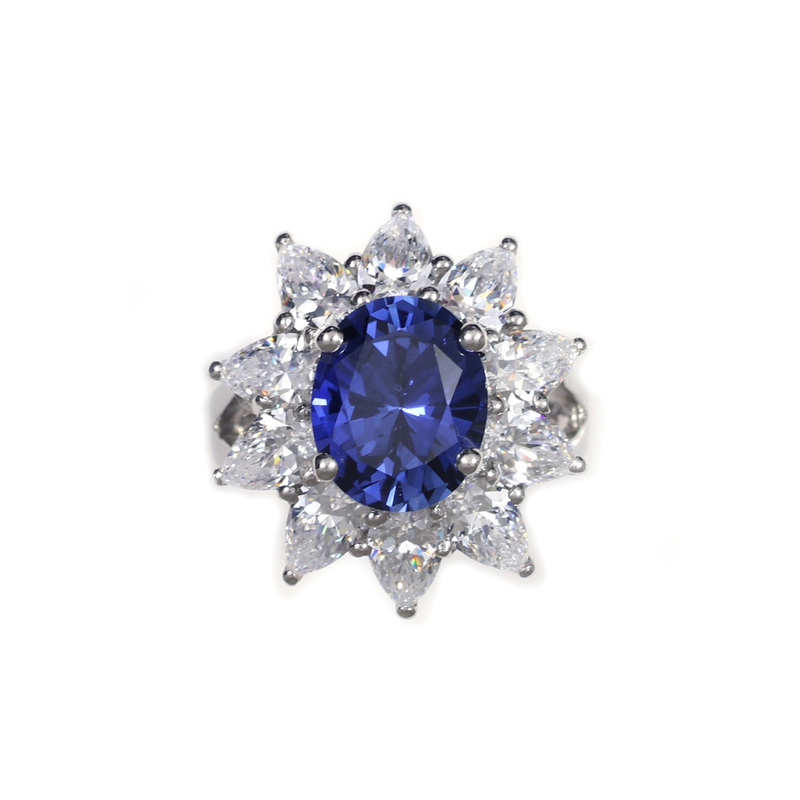 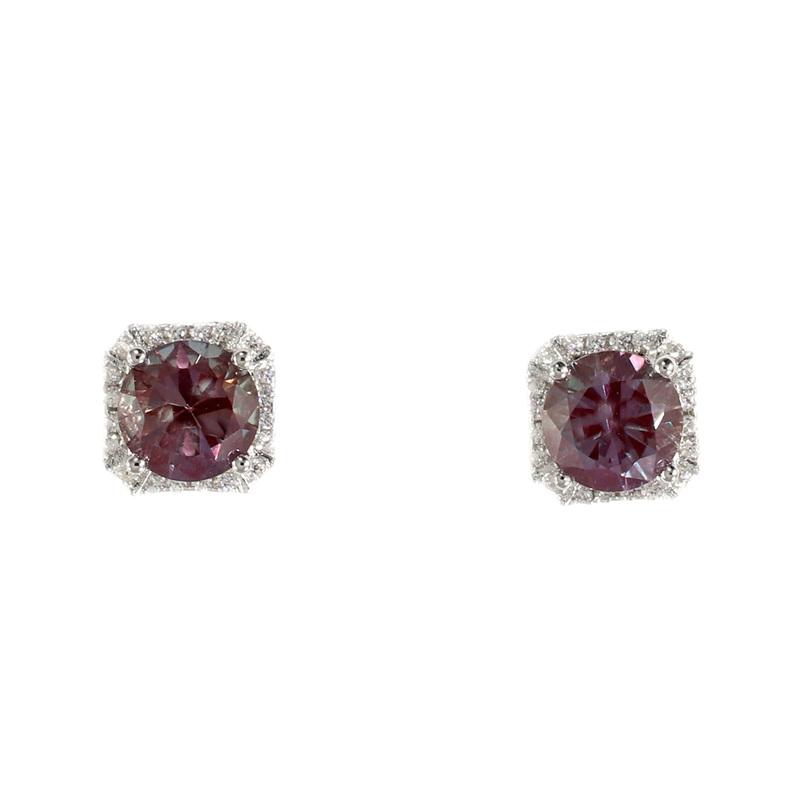 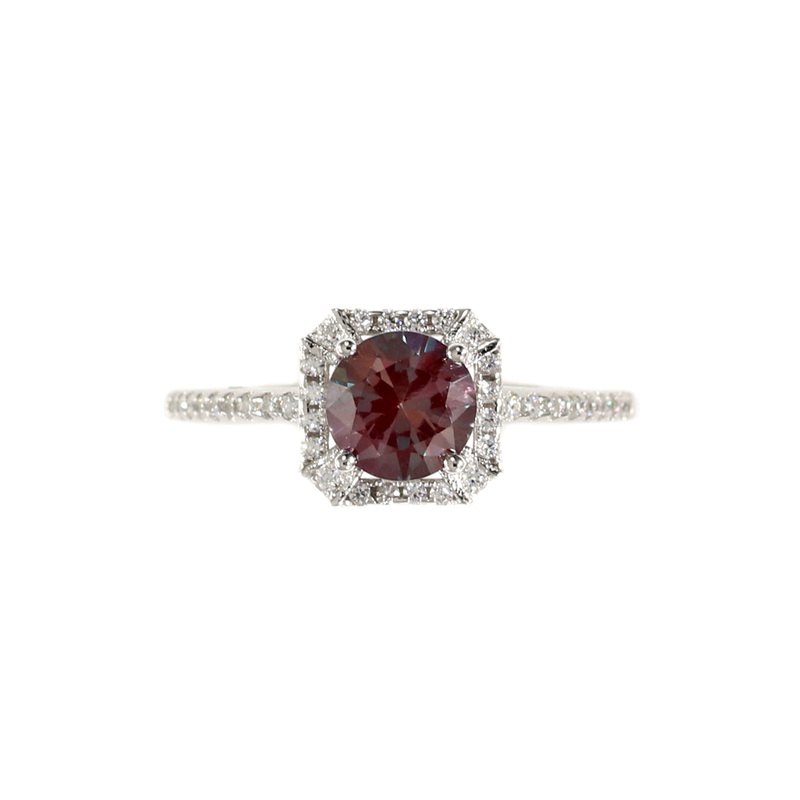 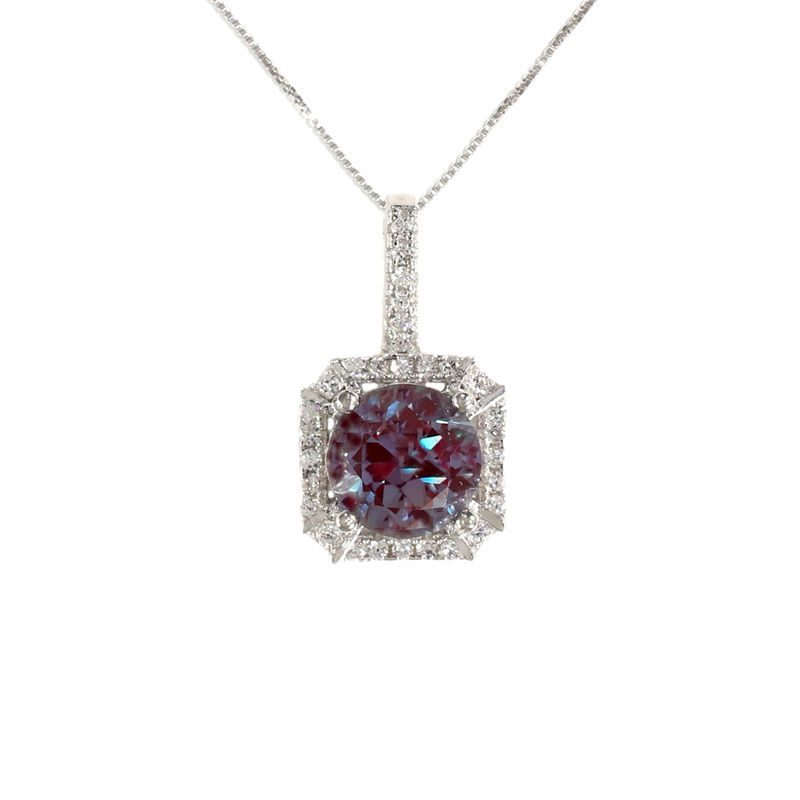 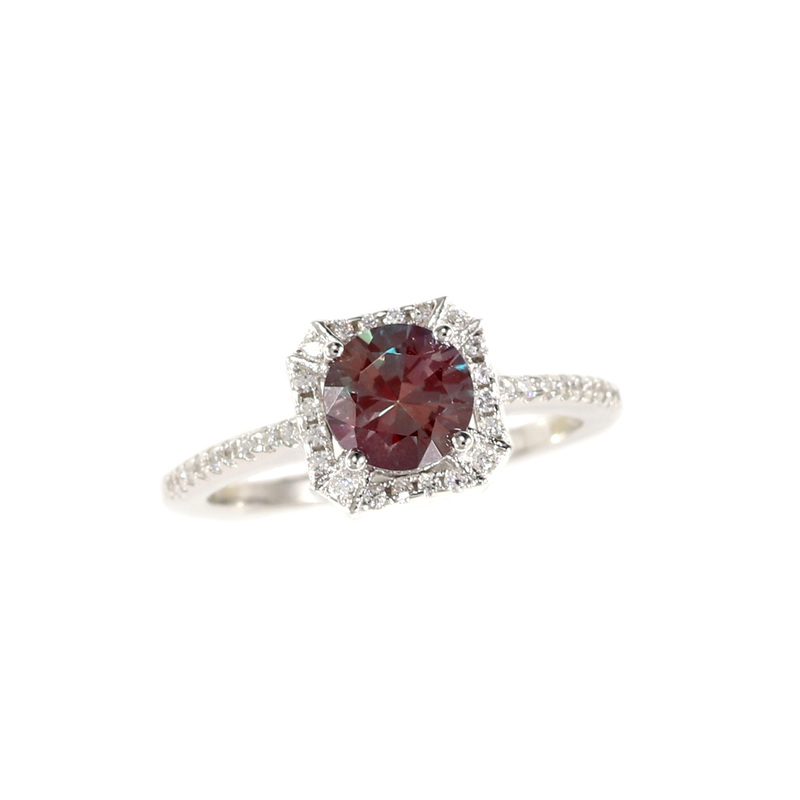 All stones are lab created alexandrite and Russian cubic zirconia set in Platinique®.